This rule could apply to any roadtripper looking to make the best of their trip, but planning the right route is especially important if you have your pet in tow. Frequent and regular breaks are essential for the comfort and health of your dog, and new places to explore will make the trip one to remember! Take advantage of the opportunity by planning a route that stops by plenty of state parks and sights of natural beauty. Remember to double check that their pet-friendly, and be sure to take plenty of water with you as you explore! 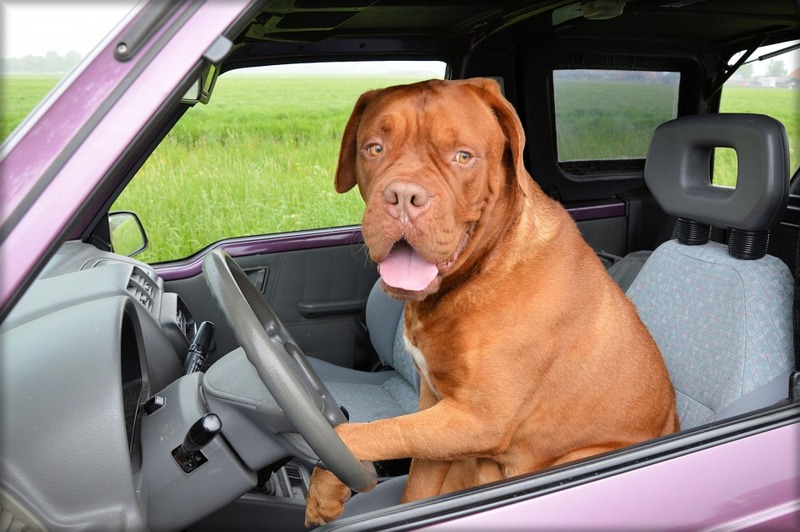 If your dog hasn’t had a checkup in a while, be sure to get that done before you hit the road. While traveling opens your dog up to plenty of new experiences, it also puts them at risk for disease or infection. Finding the right veterinarian to see your dog or cat is a lot harder once the journey has begun, so be sure to check that off the list beforehand. It’s one less thing to worry about and you’ll be glad you did it! While formulating your route, you might want to check on lodging options. Most hotels have specific policies, which may include some fees or breed restrictions. You’d be wise to contact any potential options to find out exactly how they operate. While most campsites and outdoor lodging facilities are pet-friendly, even they can be particular. Make sure to avoid sleeping in the car by being proactive about your plan. Just like any activity that’s alien to your dog, long car rides may need a little working up to. Try familiarizing your dog with the idea by driving them around for shorter periods of time in the weeks leading up to the trip. For dogs that don’t like to urinate in unfamiliar territory, try driving them to different areas close to home and waiting for them to relieve themselves there. This will make the concept a little more familiar and hopefully ease the process once you’re on the road. 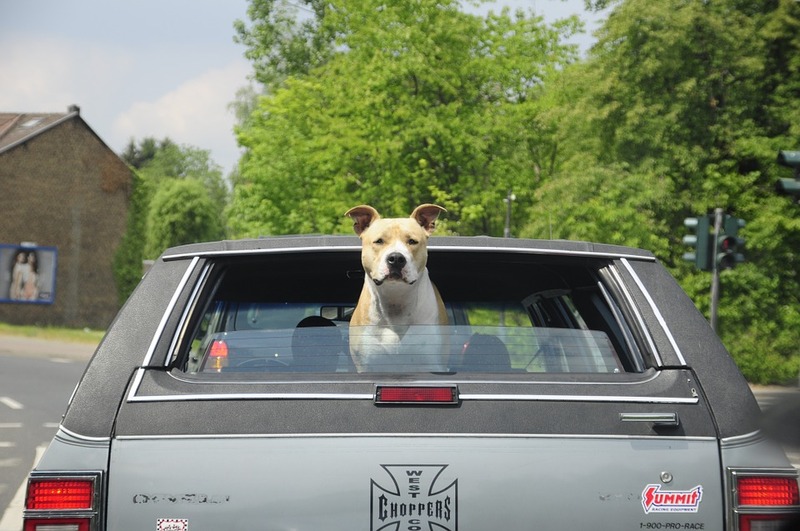 We’ve talked about this before – hot cars are not an acceptable location to leave your pet. When you take to the road, your car becomes your mobile home. While driving with the AC on is okay, abandoning your pet in the car to spend three hours sightseeing alone is not. If you’re travelling to attend a specific event that isn’t pet friendly, be sure to arrange for accommodation with someone else. This could be a friend or relative with a home in the area, or just a local kennel. They’ll keep your pup cool and happy, and you’ll enjoy time to yourself without having to worry. Nothing ruins a good road trip like bad weather. Be sure to consult a number of weather resources before and during your journey. This will help you plan ahead to avoid rain storms and natural disasters for your safety and that of your pet’s. Many pets can get spooked by stormy weather, so if your travel dates are particularly susceptible you might want to reconsider your trip. Mild sedatives can help with bouts of unexpected thundering, so be sure to pack some in your travel bag. You (hopefully) wouldn’t commence on a road trip without your license. The same consideration should be made for your pets. Be sure that your pet’s ID is up to date and accurate, so you can find your dog quickly if anything goes wrong. Keep your dog’s medical exam records as well. Why? Some authorities may ask for them if you’re traveling across state lines. If you have everything organized and accounted for, your trip should be a breeze! By the fifth hour in the car, you may start to feel a bit bored. Well, your dog may start to feel a bit restless as well. Bring a couple of your dog’s favorite different toys and treats. They can prevent your dog from acting up and establish a more familiar routine, which will make the trip easier for everyone. It’s also a great way to avoid a couple of chewed up seatbelts. One of the best things about modern travel is the wealth of apps that make road trips that much easier. Red Cross’s Pet First Aid provides animal safety tips and organizational tools that’ll keep all your pet’s medical records in one place. Dog Park Finder Plus and other apps will also help with the travel process. Use these to find pet-friendly locations and accommodations along your route. 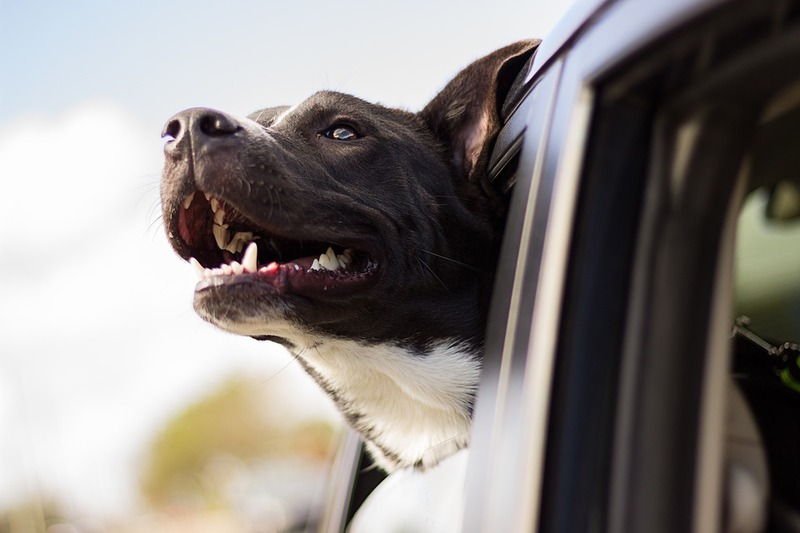 With this list of tips, it’ll be impossible not to enjoy the open road with your furriest friend. A good road trip is only as effective as its planning, so don’t skimp on the details! Prepare fully and you’ll both have a trip to remember for years to come.